BIRTHFIT is an empowered, educated state of readiness, specific to childbirth, that is achieved through an evolved practice in fitness, nutrition, mindset, and connection. Our pillars are fitness, nutrition, mindset, & connection. We unconditionally support YOU—the birth mom & birth partner—to make the best decision for you and Baby. BIRTHFIT NC serves moms in the greater Raleigh area who are looking to intentionally prepare for or recover from childbirth. The Motherhood Transition spans the preconception period through at least the first year postpartum, and any woman within this time frame (or beyond) is welcome to participate in the services offered at BIRTHFIT NC to help facilitate their best Motherhood Transition. Dr. Lindsay Mumma is a chiropractor and Regional Director for BIRTHFIT NC. She also serves as COO and Editor in Chief of BIRTHFIT. She is a wife and mother of two boys. She strives to grow and learn daily while appreciating the presence of the present. Her empowering birth experiences have shaped who she is and how she wants to help others. Follow along with Dr. Mumma @birthfit_nc. Lisa Strand is a wife and mother of two. She has a BS in Biology with a background in medical research. She became a personal trainer in 2010 and a Crossfit coach in 2011. Lisa has always had a passion for fitness and a desire to help others become their healthiest self. She participated in her first BIRTHFIT class in 2016 and was immediately hooked. The four pillars of BIRTHFIT transformed Lisa’s life! She attended two more BIRTHFIT classes before completing the BIRTHFIT Coach course. To learn more about Lisa or connect with her, follow @strand_up. Jenna Somich is a lifelong athlete, coach and learner. She is a wife and mama to Lily. 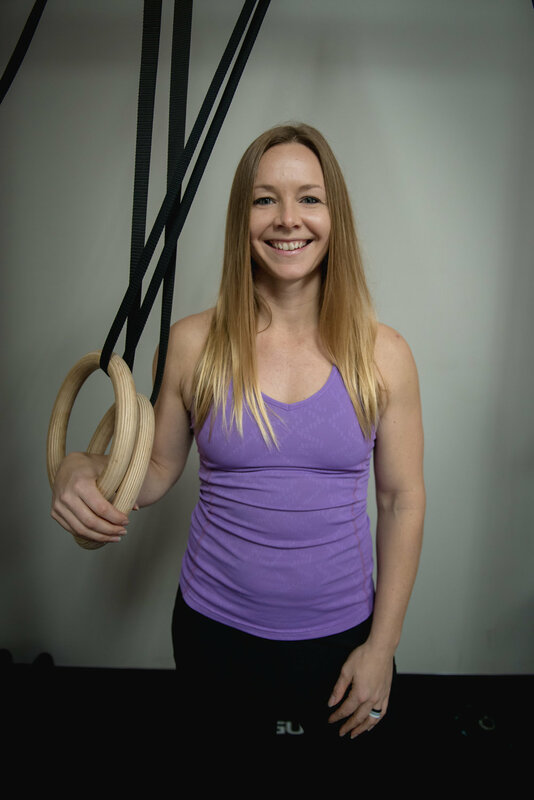 Jenna has over 6 years of coaching experience, 20 years of weightlifting and conditioning experience and has trained in gymnastics, body weight and mobility movements since childhood. Since beginning athletics at such an early age, Jenna believes that finding wellness and balance can happen at any stage of life. Jenna also believes that taking on a growth mindset in training, fitness, and life is the key to sustained success. For this reason, she pulls a positive and upbeat approach into her coaching and classes. To learn more about Jenna or connect with her, follow @jennasomich. Emily Horn is a Licensed Massage Therapist and student of movement. She is a wife, mother to Isley, and has been excited about BIRTHFIT since taking a BIRTHFIT Basics Workshop when she was pregnant. She loves learning about the body and applying that knowledge to herself as well as her clients. She has taken the BIRTHFIT Coach Seminar, DNS Exercise, and multiple hands-on technique courses to continue to learn and grow. To learn more about Emily or connect with her, follow her @edhorn918. Mackenzie Smith, DC, is a BIRTHFIT Professional and a chiropractor at Triangle Chiropractic and Rehabilitation Center. She practices with Dr. Mumma where they work to create a better Motherhood Transition for their patients. She teaches the BIRTHFIT Prenatal Series and assists with various BIRTHFIT classes and events. An avid runner, you can find her hitting the Greenway with her pup Lola as she trains for endurance events. To learn more about Dr. Smith or connect with her, follow @mackenzie_smith_dc. Looking to work with others who love the BIRTHFIT movement? We have some wonderful practitioners and coaches locally and across the state who are worth checking out!